THE NSA Wales and Border early season show and sale kicked off this year’s ram sales at the Royal Welsh Showground, Builth Wells with a top call of 2,800gns. Prices were encouraging for most, despite a clearance rate of just 52 per cent across all breeds. Realising the top price was a Texel shearling from Paul and Anna Johnson, Stoke-on-Trent. This was Corriecravie Autumn Gold’s first time off the farm and was the second lot sold in the ring after taking the Texel reserve breed championship in the pre-show sale. 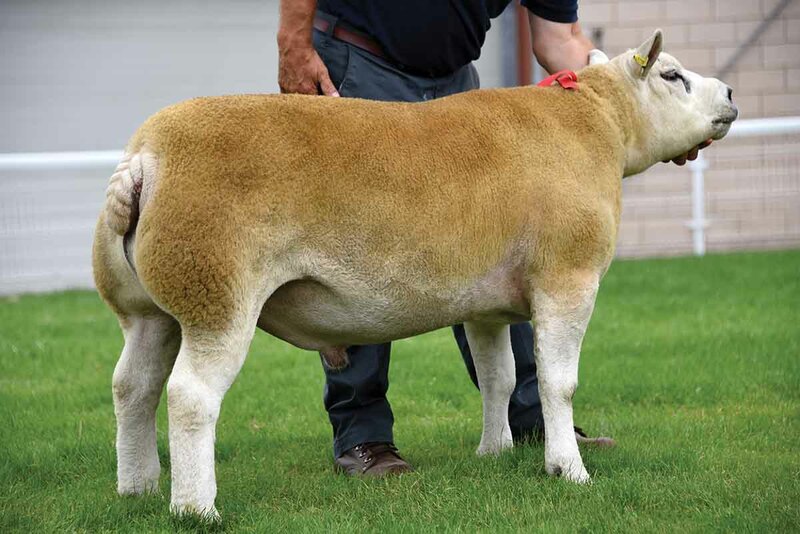 By Cornmore Young Hustler which was bought by the Johnsons at the premier sale in Worcester in 2016, out of a home-bred ewe by Baltier Panther, it is sister to top-of-the-rankings, Corriecravie Union Pacific. It sold to a syndicate of three breeders; Robert Laird, Lanark, Ed Samuel, Herefordshire and Colin Creer, Isle of Man. Next at 1,600gns was the pre-sale Texel champion, Bryn Dansi Alfie, a March 2017-born ram by home-bred ram Bryn Dansi Ynyr out of a Greenknowe Viamaka ewe from G.P. Williams, Conwy. Making 1,300gns was Slapton At Your Service, consigned by Barbara Smith and daughters, Jo and Sam, Towcester. The shearling ram is by stock ram Blackadder Well Hung which was bought at Kelso in 2016 and is part owned with Phil Weaver, and Pete Longdon. Out of a ewe by Scolton Top Spec. In the Charollais ring the top price was 1,900gns for the show champion, a December 2017-born ram lamb from Tim Prichard, Mid Glamorgan. 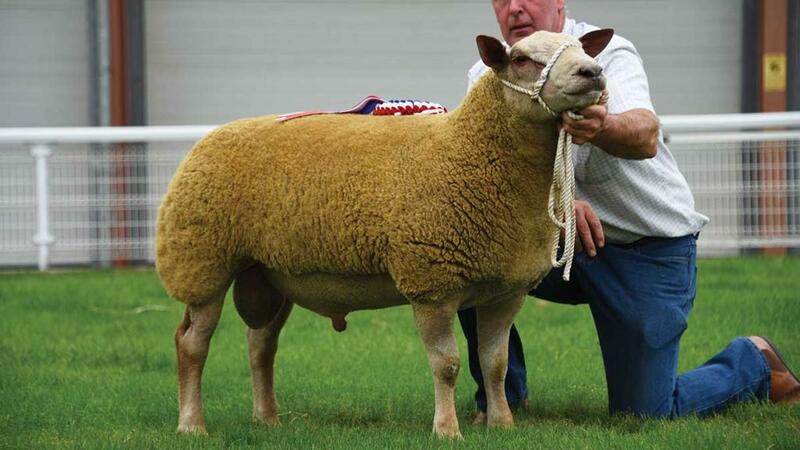 Its sire, Wernfawr Spartacus, was bought from Worcester in 2017 for 7,000gns and was male and reserve breed champion and half of the inter-breed champion pair at the Royal Welsh Show this year. Next, at 1,100gns was a shearling ram from Charles Marwood’s 500-strong flock in Whenby, York. The December 2016-born ram which is currently in the top five per cent of recorded males in the breed was second at the Great Yorkshire Show and inter-breed champion at Driffield Show. It is by Hyde Radio5Live, a stock ram which was bought at Worcester in 2016 for 1,000gns, and out of a home-bred ewe. Topping the Suffolks at 1,050gns was a ram lamb from retiring Suffolk breeder, John Sinnett’s Stockton flock, Worcester. The January 2018-born lamb is by Stockton Last Chance, a home-bred stock ram. It sold to 10-year-old Oliver Sparks, Cardiff. 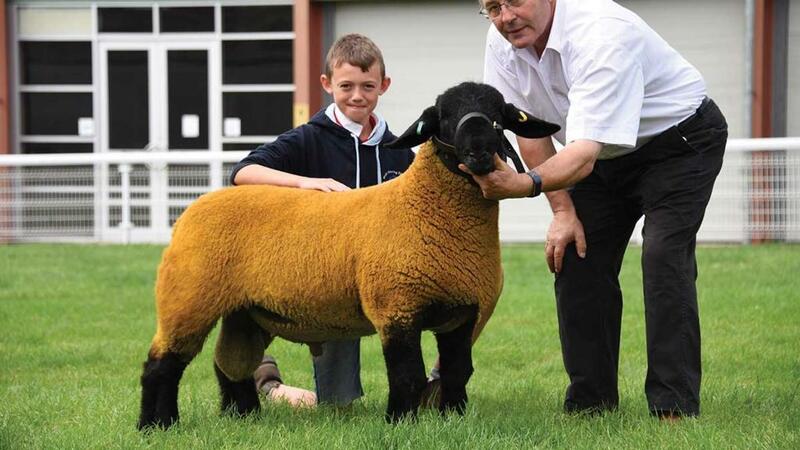 The Beltex ring peaked at 800gns for a three-year-old ram consigned by John Corbett, Gloucestershire. The ram, which was sold as a yearling to Mr Corbett for 2,000gns sold back to its breeder, Gary Williams and his daughter Seren, Gwynfe to keep the bloodlines in their flock.